Gastronomy in Djerba | Djerba: Info, Maps, Photos, Hotels, Attractions, Restaurants, Excursions, Walks at sea, Quad .. This caravanserai, about 350 years old, has been renovated to give a nice result combining authenticity and modernity. 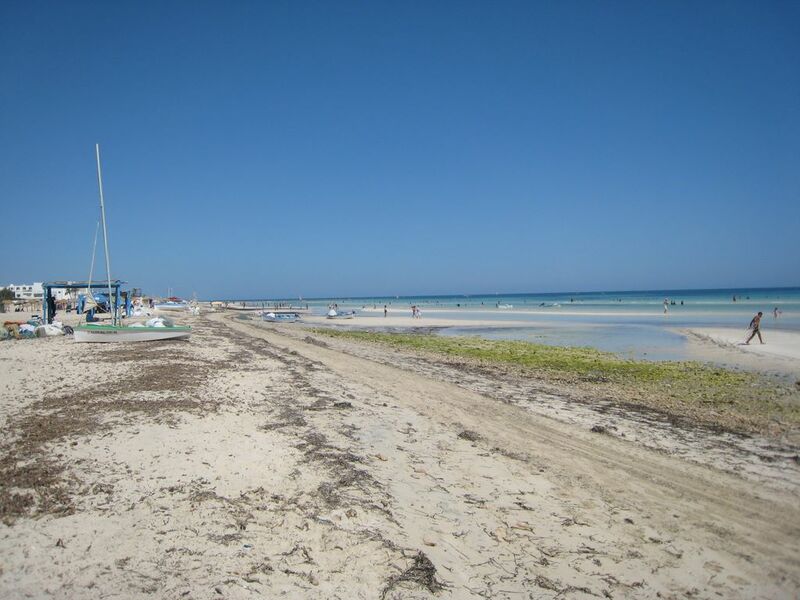 cultural which will be provided by the caravanserai which aims to become a must in Djerba. Il offer a warm welcome in a unique atmosphere. Address: 30, Moncef Bey street opposite hotel Touring- Djerba, Houmt Souk. Old Houch located in the heart of the city center, the restaurant Dar Hassine welcomes you in djerbien a typical setting. You can taste our dishes in the fragrant patio jasmine. Built in the 30 ', the houch "Dar Hassine" "دار حسين" (meaning house Hassine in Arabic), is a traditional patio. Situated in the tourist area of ​​Djerba, the SAVANA restaurant offers a decoration, a warm welcome and tasty food. Located in Marina Houmet souk, the wave cafe is a modern tea room consisting of three floors. The Touareg is a tearoom, pizzeria and pancake restaurant welcomes you in a typical and unique decor. Facing the lagoon of Djerba, it welcomes you in a setting of more recent, that reflects the inspiration of Berber Tuareg tradition. This is a must during your stay in Djerba Island. You will be able to visit it, to spend pleasant moments of relaxation with a group of friends or even in family! The Touareg offers you several interior spaces that offer different atmospheres and three outdoor terraces for an interesting view!